Rely on Medina attorney, Cameron Pedro, for experienced legal representation. Almost everyone will face legal action in their lifetime. 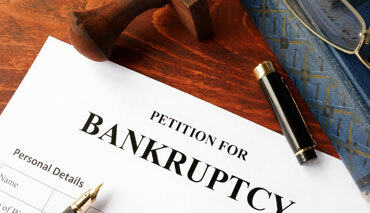 Divorce, traffic violations, bankruptcy, criminal charges. These proceedings are quite common. They are also extremely serious. Legal proceedings of any kind can affect your rights, your family, and your finances. For this reason, if you are facing any type of legal action, you need an experienced local attorney to fight for your rights in court. For more than fifteen years, attorney Cameron B. Pedro has represented Ohioans in civil, criminal, and traffic cases. Serving Medina, Ohio and the surrounding areas, he has the experience and dedication to help you achieve the best result in your particular case. When family difficulties or disputes arise, it can be a trying time for all involved. By choosing attorney Cameron B. Pedro, those seeking assistance with a divorce, custody dispute, or domestic violence situation can count on diligent and zealous representation. This means fighting for you and your family while minimizing the emotional toll of your difficult domestic situation. Everyone charged with a crime in Ohio is entitled to understand and defend themselves against the charges. 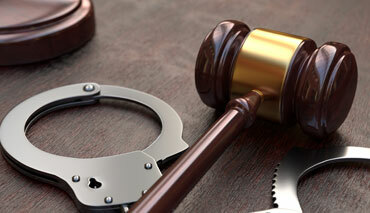 Doing so requires the guidance of an experienced criminal defense attorney. By analyzing the evidence and identifying factual and Constitutional weaknesses in the prosecution’s case, Cameron B. Pedro works aggressively to defeat or minimize criminal charges for his criminal and traffic clients. Cameron B. Pedro also specializes as a juvenile defense lawyer. Unexpected medical bills or job loss can leave even the best-prepared people in financial trouble. An experienced bankruptcy lawyer can help you obtain debt relief or, in the right circumstances, can advise you through a bankruptcy. As a member of the National Association of Consumer Bankruptcy Attorneys, Cameron B. Pedro can help you relieve your debts, protect your assets, and eliminate the stress of tumultuous finances. If you or a loved one are facing or considering legal action in or near Medina, Ohio, you need to contact an experienced Medina attorney. Call Cameron B. Pedro Attorney at Law 24 hours a day, 7 days a week to schedule your FREE initial consultation. © 2017 Cameron B. Pedro. All rights reserved.